Multi-access edge computing (MEC) promises to unlock opportunities created by the Internet of Things (IoT) for communication service providers (CSPs). MEC creates virtualized cloud computing environments within the access network, close to mobile subscribers and devices. 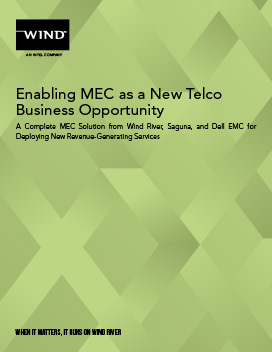 This white paper provides an overview of the business case for MEC and describes a market-ready solution from Dell EMC, Saguna, and Wind River® available today for CSP deployment.